The medieval church believed that the ritual system made the divine present and brought that presence into being. Contrary to this ‘doctrine of presence’ was the Reformation idea of ‘re-presentation’. According to this philosophy, rituals should not be understood as a method of behaviour that creates presences and enacts being. Instead they are to be seen as a language of communicated meaning. Inherent in this ‘theory of re-presentation’ is the Lutheran idea of proclamation and understanding. What was vital for the Reformation was not that a ritual made the divine present but that something about the divine was communicated to the community of believers. Also important was that the community understood what this presence meant (a clear focus on cognition). A motivating factor behind this theory of ‘re-presentation’ was the humanist principle of reconciling ritual practices with Biblical evidence. Reformers hence found no (sacramental) justification for confirmation, ordination, marriage, extreme unction and penance. The divine could not be present in a ritual action because the Bible gave no precedence for such a presence to be enacted. Consequent to this was the Reformation practice of judging the value of a rite based upon the spiritual response of the believer. “The process of gaining access to the sacred shifted from experiencing the divine body through sight, touch, and ingestion to interpreting the scriptural Word, a process that had wide-ranging implications for the status of ritual as well as for the mentality of lay believers.” Accordingly, the divine presence is separated from the ritual action as the scriptural Word is set in distinction to a bodily presence of the divine. The whole ritual system was essentially brought into question. 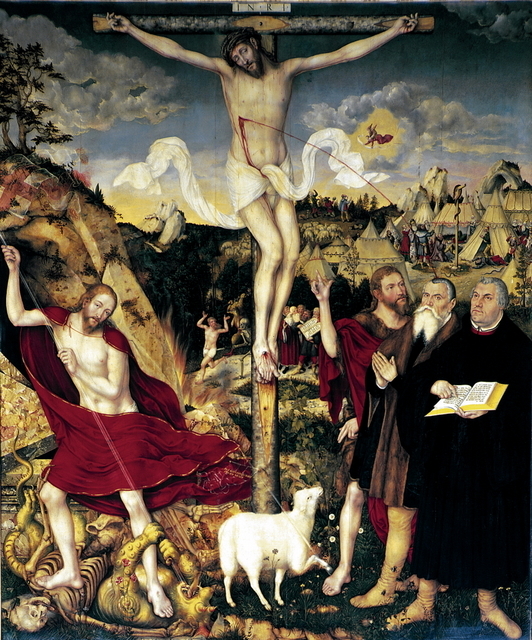 The statement ‘this is my body’, for the sacramental Protestants, became a statement about how the divine was represented rather than presented in the sacrament. No longer was the rite imbued with the presence of the divine, but instead the presence of the divine was based upon how the divine was represented in the bread by the words ‘this is my body’. Susan Karant-Nunn speaks of the same development as she writes, “Worship services in their entirety ceased with the Reformation to be the replication of a miracle and became instead a means of shaping the individual faith.” According to Reformation philosophy, the divine was no longer present in the rite itself; instead the focus fell upon how the word would represent the divine. Luther himself did not deny contact with the divine presence within ritual. Still, Luther was not willing, unlike Calvin, to deny that the divine became present in the sacraments. His defence of Christ’s real presence in the Lord’s Supper shaped ritual and piety (he called the Sacrament of the Altar itself gospel). But the focus for Luther shifted from the rite itself to the word used with the rite. The words of institution were the essential element that made Christ present, not the rite. The mode of presence of the divine was a highly contested debate amongst the Reformers. Before the Reformation, communicants ate the host because it literally presented Christ’s human flesh sensually, to the mouth and the tongue. After the Reformation, this form of divine presence became the subject of persistent debate. Debates as such between Zwingli and Luther are well documented. The crux of the issue lies in the doubt that was cast upon the rite of the Eucharist. For the medieval believer Christ was present because the divine was present in the rite itself and also corporeally in the host. Once the Reformation called into question the mode of presence the actual presence itself came under a cloud of doubt. Torevell claims, “For Luther and like-minded Reformers, the imparting of grace had nothing to do with sacred objects or actions performed.” This statement is a bit overwhelming but behind it lies the central fact that has been raised. Luther valued the sacrament of the altar as the ‘gospel’ and as the real presence of Christ. He surely believed that grace was received by partaking of the sacrament. But Torevell is correct in saying that Luther put no faith in the “sacred object or actions performed.” For Luther it was not the actual object or the act that made the divine present, it was the consecration using the last word and testament of Christ. Torevell states it like this, “Liturgical and holy things became transmuted into mere objects which were only to be valued for their function in stimulating faith, not in themselves.” Torevell believes that this resulted in a truncating of the sacramental life of the Church. Instead of the ‘body’ of the divine being the centre of theology, a radical transcendence of the divine and the utter fallenness of humanity took centre stage. Muir provides a more favourable description of Luther’s approach to ritual than does Torevell. Luther did insist on retaining the Real Presence in the Eucharist and refused to abandon a ritual communication or to accept a symbolic interpretation. “The ritual generates power and produces profit. Ritual kept its efficacy for Luther, at least as long as the communicant is spiritually receptive, and ritual was still necessary for him, precisely because God must reach our bodies as well as our souls, and immaterial words are insufficient for the task.” Although Luther is not described as supporting ritual as a medium of divine presence, Muir contends that Luther did see the necessity of it so that God could reach our body and souls. Another aspect of the medieval ritual structure was the ideal of the performance of the ritual over the understanding; in other words, contact with the divine through the senses compared to contact through cognition. The Reformers essentially reversed this ideal as there began to be an overwhelming appeal to the mind as the means to divine interaction. “Consequently, the mind began to replace the body as the focus of attention….” The pastor was no longer the ritual expert, as he was in the medieval church, but now he was a person who saw to it that the worshippers understood exactly what was happening and why it was happening. What this approach denies is the previously stated nature of ritual—that ritual speaks with many voices on many different levels. It defies explanation (or is at least “de-sacralised” with attempts at explanation). The dynamic element of the rite was stifled as Reformers began the process of interpreting ritual. “By moving from experiencing a ritual presence to interpreting a ritual re-presentation, misunderstandings propagated themselves in that breakneck destructuring rush called the Protestant Reformation.” The experience of the ritual and its divine presence was the lifeblood of the medieval ritual structure. No longer was this to be the case within Reformation churches. The process of interpreting ritual emptied the multi-faceted level of meaning, leaving behind a rite that is clearly defined but also unable to express, as it once did, the presence of the divine. Scholars present information on both sides in this area of the reform of the ritual system. First of all, for the Lutherans, church rituals had come to signify two things by 1618: one was a means to delineate oneself from another denomination and the other was to build and strengthen greater confessional cohesion. The rituals (or ritual elements) that are being referred to here are such things as the fraction, stained glass and statuary. By retaining things like stain glass and crucifixes and refusing the fraction the Lutherans set themselves apart from Reformed bodies that followed Zwingli and Calvin. This enabled the communities, through ritual observation, to strengthen their resolve and community ties. The response of the community also melded them together. Their beliefs and what they had been taught were inherent in their responses to what took place during worship. The building up of the community was not the only result of the Reform of the ritual system though—individualism was strongly fostered as well. “The hymn collections from the later sixteenth century reveal a more individualistic content, and more hymns concentrating on the cross, on human suffering in times of pestilence, warfare, and poverty.” Another place where individualism began to makes inroads were the prayer books from the era of “Lutheran Orthodoxy.” According to A.G. Roeber, possibly as a result of the refinement of doctrine and intense battles with other theologians, there was a decline in confident expressions of communal identity. The prayer books opted to contain spiritual advice dealing with individualized dilemmas and problems. A piety focused upon the reception of the Lord’s Supper was not a primary focus of these prayer books. As we noted earlier, the medieval ritual system and the sense of community was focused upon the Eucharist. This focus was lost in the reform of ritual and along with it the strong communal ties, while strengthened in one area of piety, were waning in others. A contributing factor to this development of individualization may be the long-term effects of catechizing children in the Lutheran household. What this process accomplished was an internalization of individual responsibility for faith which, according to Roeber, resulted in the challenging of authority in the house, church and state. This included a challenging of the necessity for individual confession, absolution and frequent reception of the Lord’s Supper. And so it would seem that one could conclude that a result of the Reformation of the ritual system was an increased sense of individuality and a decreased sense of community. To conclude that the Reformation completely reversed the whole medieval ritual system would be a bit harsh and overstated. There was a progression from a “doctrine of presence” to a “theory of representation” that took the focus off of the rite as location of the divine presence. The reform of the system also resulted in a rejection of contact with the divine through the senses in favour of contact through meditation and interpretation of the words of scripture. (This is not to disregard Luther’s insistence upon the Real Presence in the Lord’s Supper and the contact that took place therein.) Cognition as interaction with the divine, instead of through the performance of the rite, developed as well as the attempt to interpret rite instead of experiencing it. Resultant upon all of these reforms was a gradual loss of a sense of community in favour of individuality. The current dilemma that confronts Lutheranism (and Christianity on the whole?) is the ever-increasing trend to divorce substance from style. The in depth analysis of the medieval ritual system and the reform of that system in this article is meant to speak definitively on this dilemma. What does the reformation of ritual tell us about this ‘divorce’ within Lutheranism? Do the 16th and 17th centuries reform of ritual support such divorces of substance and style? Or, is it not the Reformation’s fault (or Luther’s) but later developments that created these current situations? 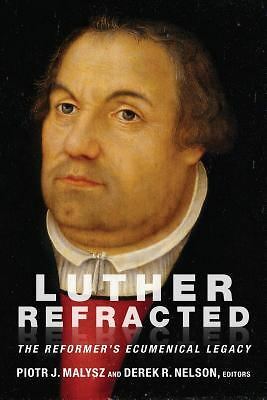 There is no explicit evidence that Luther or the Reformers supported a divorce of substance from style. According to the medieval ritual system, style always informed and shaped the substance of ritual. The difference that we can notice taking place in the reform of ritual by Luther is the flip-flop of this informing—substance began to inform style. In diverting attention away from the ritual act itself, Luther may have robbed ritual of being able to ‘present’ the divine presence. Focus was placed upon the ‘word’ used within the ritual action as the true divine presence. The understanding of that word became even more important. The mind was elevated over the body—cognition over the senses. The results of all this reform are hard to pin point. The lex orandi, lex credendi debate has raged on for a long time. Is the phrase static or can the two Latin phrases be reversed without destroying the whole dictum? One thing can definitely be said: the Reformation in no way divorced substance from style. They might have mixed the relationship around but it was still a relationship that could not be divorced. If these are the conclusions (or at least the analyses), what are the solutions? Or, where do we go from here? I would like to explain first of all why the divorcing of substance and style is impossible. This was discussed in “The Role and Function of Ritual” section but added emphasis couldn’t hurt. Secondly, I would like to promote a ritual system that does not divorce word from ritual but instead places God’s means of addressing us today within his self-revealing act of the incarnation. Roy Rappaport, in his book Ritual and Religion in the Making of Humanity discusses in depth the inter-relatedness of style and substance. He describes ritual as, “The performance of more or less invariant sequences of formal acts and utterances not entirely encoded by the performers.” This definition is loaded with words that tell us exactly what ritual is and is not. First of all it is invariant—ritual is constant without variation. Secondly the acts of ritual are formal, not informal. (We may remember that Luecke promoted informal ritual action which appears to be in all reality an erroneous belief.) Finally, the performers do not encode the acts and utterances of the ritual. This means that the performers do not have direct control over the structure or form of the ritual. Rappaport also believes that in every ritual performance there is a “substantiation of form” and also an “informing of substance.” The substance validates the style of the ritual while the substance is informed by its mode. The style and substance are so intimately involved that they cannot be divorced. There are such things as “self-referential” rituals though. The performer, normally based upon their contemporary status and intentions, transmits the substance of this type of ritual. The other form of ritual is the “canonical” which is not encoded by the performer and hence not “self-referential.” The canonical rituals are already found to be encoded, like in the liturgy of the Mass. “Since these messages are not encoded by the performers, and since they tend toward invariance, it is obvious that these messages (cannot in themselves) represent the performer’s contemporary states.” The canonical rituals are the preferred form within the liturgy because they are already encoded and the performer is unable to change their substance through their actual performances of the rites. Luecke earlier promoted self-referential rites against canonical while at the same time maintaining that there would be no change in substance. His position is an untenable one. Secondly, and finally, I would like to propose a theory of ritual that prevents the divorce of word and ritual form. According to Robert W. Jenson, Reformation theology maintains that “since God’s gifts are given in and through the person Jesus, the giving itself must be a personal act. Which is to say: God’s grace occurs as word, as address by which one person communicates him- or herself to others.” God gives his gifts to mankind in the form of a man, Jesus Christ. It is only natural that God would continue to give his gifts to mankind in a bodily, enfleshed manner. The Word of scripture cannot be separated from the Word or Logos, Jesus Christ. The word was always embodied and it follows that it would continue to be so today within the Church. The idea is that a ritual action, performed by a body (a performer) and participated in by bodies, is the proper and fitting mode for God’s divine presence and address. Further words from Jenson serve this theory of ritual: “He is the Speech of the Father; as the Father’s speech to us he is embodied in the church and therefore does not, whatever might have been, speak except by his body.” This is to say that Christ speaks exclusively through his Church. But to stretch this line of thought further, Christ spoke to the Church originally as an embodied form—his words were never divorced from his embodiment. The same should still hold true today. There can be no distinction between the ‘words’ of a ritual (be they Christ’s words or the words of the worshipping community) and the embodiment of that ritual manifested in the ritual actions of the human body. This is not to say that each one us is somehow supposed to be venerated. “Within the assembly, our intention of God in one another is rescued from self-deification by common direction away from ourselves to sacramental objects which we are not.” The ritual actions are enacted solely for the benefit of enacting the presence of the divine for the benefit of the community. Ritual must be seen in an incarnational manner so as to prevent the divorcing of substance from style (word from ritual action). The Word was embodied as God first addressed humankind, and since God is ever consistent, the Word must remain embodied amongst us today. Susan C. Karant-Nunn, The Reformation of Ritual: An Interpretation of Early Modern Germany, (London; New York: Routledge, 1997), 192. A.G. Roeber, “Official and Nonofficial Piety and Ritual in Early Lutheranism,” Concordia Theological Quarterly 63:2 (April 1999) : 125-26. Bodo Nischan, “Ritual and Protestant Identity in Late Reformation Germany,” Protestant History and Identity in Sixteenth-Century Europe, Volume 2, edited by Bruce Gordon, (Aldershot, UK: Ashgate Publishing Limited, 1996), 148. Roy Rappaport, Ritual and Religion in the Making of Humanity, (Cambridge, UK: Cambridge University Press, 1999), 24. Robert W. Jenson, Systematic Theology—Volume 1, (Oxford: Oxford University Press, 1997), 13.